I'm Warren Hersowitz. 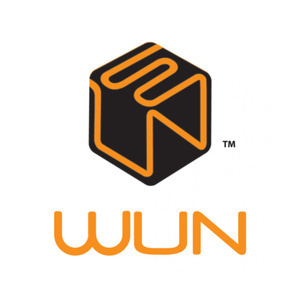 I'm the director of sales at WUN Systems. I've been with the company for about just under four years now. The idea came from both our CEO and our CTO about 10 years ago with a different company. They were using an executive suite and they were there for some other business and they were trying to get on the internet and they were trying to book a conference room. It was so tedious and difficult to do and it couldn't be done after hours and they'd need to have somebody manually open the conference room. it was such a nightmare to do anything at this space. They thought to themselves kind of a light bulb went off saying wow there's a good opportunity to get technology into these spaces that make it easier for the member. To use the space, the amenities, book things and no need to have someone else in a daily basis. From there the company was born. It started with basic ability to manage the network. We internally call, manage the data Wi-Fi then it grew into allowing phones then have one integrated software platform. It does not only manage the technology but also manages the day-to-day operations of the space, booking conference rooms, managing the leads, doing your billing and also adds a member portal on a daily basis. The next steps have been integrating with other third parties for example door access. We now work with GC door access and a lot of other companies. So, that's kind of been the life cycle of WUN Systems and how we came into being and as we've come along the years. It increases your revenue, have more efficiency for your staff and grow a sense of community. We do that through integration and really automation of your systems. Kube helps you manage the lifecycle of a customer from them literally just first getting to know you as a lead. Fully being a customer and using all the services and everything is integrated. For example, when somebody goes to your website, clicks on the contact us button, puts in their name and phone number, email and want you to reach out. It'll then automatically integrated for uploading into our platform. You can have it in one singular database from there you continue the lifecycle of that customer. Typically, most operators then call that person. If they're going to be renting an office, they come in, they take a tour then they sign a contract and all of that is done through our platform. Once they're a member that the integration continues. The most important technology in these spaces, it's first and foremost Wi-Fi or Internet. Our system allows you to give information when the member moving in and allowing internet access- their own private wireless accounts or VLAN. The member also have possibility requested phones that follow to sort of reception answering all of that remains through our system. It's designed to be done through very simple wizards. It may seem there's a lot of things going on this platform but it doesn't have to be run by an IT person or a technical person. Some of our bigger operators with multiple spaces like to have an IT person on staff because they have multiple locations and different things pop up but our system doesn't require an IT person. It's the simple wizard that literally anybody with limited IT experience can do it. It's very simple and immediately set up. When the member has become a part of your Center they can continue to do things on their own, such as book conference rooms and continues the automation. If someone, for example, has a door access system integrated with us then booking a conference room, opening up the doors after hours that's all automated. You don't need to have somebody on site to manually do sort of things. Most operators want their staff focus on hospitality, making sure their members are happy rather than having to focus on printing invoices. or you know I'm writing up contracts or opening conference from done that's not what they want their staff focused on. Our main features, it's all about integration and automation in an ease of use concept for both your staff and your members. Making sure their members are happy and have a great experience. Our system can manage on what the operator has elected to purchase from WUN in terms of our offering of services. One of the other features that we offer is its flexibility. If an operator comes in and is a newer operator it has a smaller space, they don't have to purchase the whole suite of services. We always say to our customer, let's start off with our platform called KUBE and from there you can grow into the other services as the demand arises. For instance, typically not every operator starts off at the door access system and something they grow into. First thing is if somebody has a door access system, it would restrict non-members from coming in because they would need some sort of code referring to enter in the system. Bring a doorbell, they're gonna have to alert the center that they're there now. For someone who doesn't have a door access system, the most popular way amongst operators is using the Wi-Fi to track your date. For your guest, every time somebody logs into that Wi-Fi you can have that information then go into our CRM database. You can know who's in there and obviously if you recognize a pattern that the same person is continually in your space using your Wi-Fi you have their information. You can go talk with them. The popular way to track the traffic of the space. It will be missed an opportunity if you can't gathering the information for future marketing. [09.38] The Workflow when member using WUN in their coworking spaces. Typically the members experience would look like put a contact us and flow into your lead database or directly sign up for a membership or use of a conference room. Our system allows you to go onto the website see the available calendar, sign up for the space register myself, pay for the space and essentially get a confirmation email with information about both the Wi-Fi access and if they have the door access information and all of us automated both from the members side and from the operator side. Meanwhile, for someone being a member, they reach out, take a tour, sign a membership agreement and all of that can be processed through our system. Setting up their technology, giving Wi-Fi access, phone access and they can start working right away. The other thing the members need is their member portal login. Through member portal, they can book their own conference rooms and get to know the community of the space. 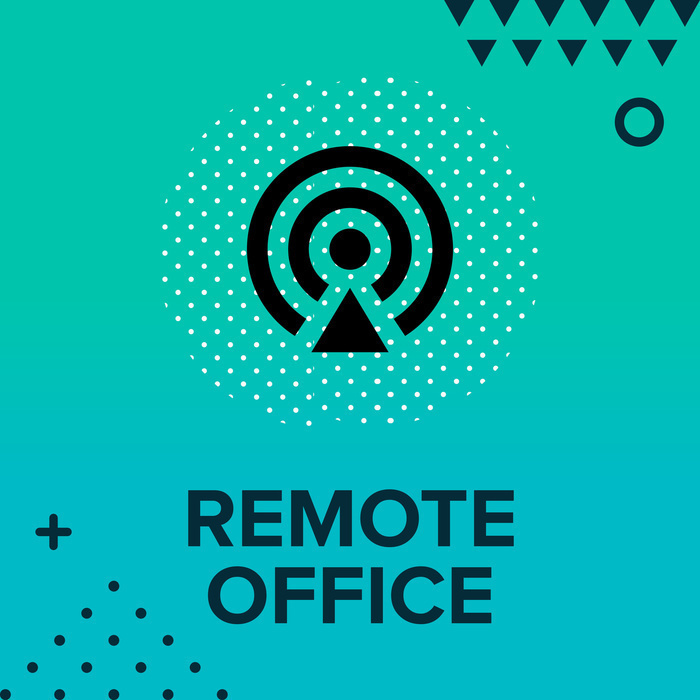 [13.09] The Impact of Coworking Movement With the Increasing Demand of WUN Systems. Absolutely, as the industry is continuing to grow more and more people are opening spaces right that's that's the first thing you know more and more people are becoming aware of this industry. Different cities different localities some in the suburb some in the city so there's always a space of good to use that. We've definitely seen that more landlords are realizing this a great opportunity. To take some of my vacant space in my building and essentially fill it out with a coworking environment. Both things are kind of pushing together and increasing the demand for coworking space along with what is the need to manage that technology and that's where WUN Systems comes into play. There are two things going out with the landlord. One, the landlord doesn't want to be involved in the same way that a typical operator does in. The day-to-day management of the space. They just want to see the revenue. They need a system that built to run on its own and has automation. The second, typical landlord who's new to the industry doesn't understand the kind of demand of the coworking industry. Our system lets you a manage the unique requirements of the coworking space and allows you to know automation. The landlord can basically manage an entire space with maybe one to two people without having to have a full staff. So, the landlord set up a coworking space without having to put a lot of costs. We've seen both where that the landlord wants to become their own owner and own the space. In that case, the landlord is kind of hands-off. We've also seen where the landlord is looking to fill their space with a coworking spot but they don't want to be the owner themselves. They don't recognize enough about the industry. So, We can connect them with some of our partners who either act as consultants to help them set it up or actually looking to run their own space and want to look for an opportunity. It could be either and in both cases, either through our connections or through ours. Obviously, through our technology, we can help them manage that. There are so many different coworking spaces. We have coworking spaces from A to Z, a big small new established, one location many locations. Typically what we see the highest demand for a state or as for our system comes from coworking spaces that are looking for an enterprise-grade solution. They recognize by using multiple different systems or maybe pen and paper is while it may work in the beginning as they continue to grow and expand maybe open new locations it's just not going to be scalable. White label means like co-branding. The coworking operators want the members to think that the branding of member dashboard is set up by coworking operators. The most important in the difference between you making sure that the members are looking at it's not a white label software at least a software that's able to be fully branded with the logos, the colors and just the way that space has been set up to continue to grow their brand and give their brand exposure to their members. Our unique selling points are the flexibility, integration, automation and future proofing. The flexibility is that when space opens, it just depends on their budget. Typically if it's a new operator, they're a little unsure how well is it going to do, how much revenue am I gonna bring in. The integration and automation that's the ability to have one platform that manages all of your services. Whether it's the doors conference rooms billing, lead management, data Wi-Fi management. It's all integrated into one platform. The future proofing is the ability to know that not just the industry but technology itself is ever-changing. It becomes more popular and more people are using it, all different types of genres of people are now using it and technology is ever-changing. It means the equipment you're using is designed to be the latest version and can be changed out as new equipment. There will be a fully automated space. Meaning all can done by software. Walking into space, using the phone to open the doors. Log in into the Wi-Fi automatically. Definitely, there will be more space is using fully automated concept. Our space will allow more integration to continue to work with other third-party companies. The song is by Ketsa Calmly Slowly under CC license.